In case you have been living under a rock (I know it’s not under my rock), here is your notice that Summit 2012 is just a few days away at this point. I will soon be boarding a jet bound for Seattle for a week full of all things SQL. 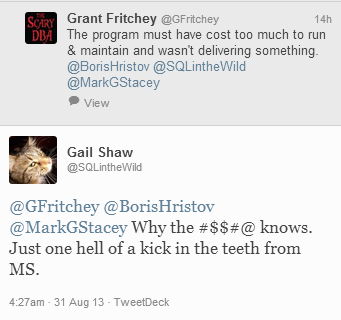 When I say all things SQL – there isn’t much exaggeration to it. During my week at summit, I will be busy from pre-dawn to post-dusk every day. That is not an atypical experience for Summit – but the reality hit me firmly as I finalized my daily schedule for next week. Since I put it together, I decided to share it so others may see all that may be available to them. I arrive Sunday. That evening after getting settled in, I plan to join the MCM study group (and maybe have the Sunday night NFL game on in the background). Monday is a free day of learning hosted by Red Gate and their SQL in the City series. You can see the agenda here. After the event there is the after event social party. That party overlaps with the Networking Dinner hosted by Andy Warren (twitter) and Steve Jones (twitter) at Gordon Biersch. This dinner is a pre-registration event (as is SQL in the City). You can register here (if they have slots available). Tuesday is a big day. Tuesday I will be taking the MCM Lab exam in the morning. Upon completion I hope to decompress for a few hours prior to the evening events. In the evening we have the Welcome reception/Quiz Bowl sponsored by SQL Sentry. Immediately following that, there are two events at the same time. The first is the Speaker/Volunteer party. The other is another Red Gate event – The Exceptional DBA Awards and SQLServerCentral party. For those from the US, this is also Election Tuesday. I hope for those from out of town you voted early or are sending in an absentee ballot. Wednesday we jump into the sessions that I planned on attending (XE, SQLOS and Perf Tuning on my docket). 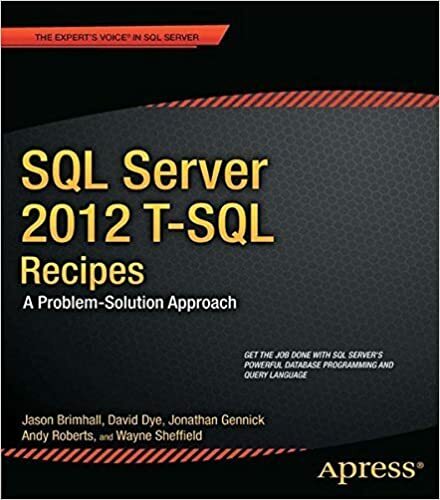 But in addition to those sessions, I will be at the Apress booth (booth 342) from 12:30 – 1:00 and Wayne Sheffield (twitter) representing our book. And before anything even gets going Wednesday, I will also be at the Summit Community Zone from 7AM to 8AM. In the evening there is the Exhibitor Reception. And for anybody into Karaoke – you can do either of the two Karaoke events at about 9PM that evening. Don’t forget to wear your SQL Saturday shirt(s) on Wednesday. Thursday I will be at the Community Zone again from 7AM to 8AM. If you have a kilt – wear it Thursday. I plan on attending the Query Tuning Mastery, Transaction Isolation Levels, and Recovering Lost Data sessions on Thursday. That brings us to the evening when we have the Community Appreciation Party that runs from 7PM to 10PM. Friday we are on our last leg wrapping things up and hoping to not be overloaded by this point. The session I am most looking forward to is the last one of the day by Paul White (twitter). I mean who wouldn’t want to end summit by attending a deep dive session into the Query Optimizer. In fact I know Wayne Sheffield is presenting during the same time and he was hoping nobody would come to his session so he could attend Paul’s session instead. Of course he said that in jest, because he wants to do his presentation. But at the same time he really wants to get to Paul’s session. At the conclusion of this session, my agenda is concluded leaving Friday night my only open night. You ever have those nights consumed by all things SQL? I do. It happens more than I might like sometimes. Usually it happens when there is a work problem that I am trying to solve. I don’t mind it sometimes because it does provide some results at times. Other times it is of no use. Sometimes when multi-tasking like this, I wish I could recall some of the code. Others, I don’t care to recall the code. And yet other times, the code sits fresh in my head until I sit at a keyboard. Sometimes, that last one is the only way I am going to get some sleep – find the laptop and then bang out some code. Of late though, my SQL dreams have been very relaxing. 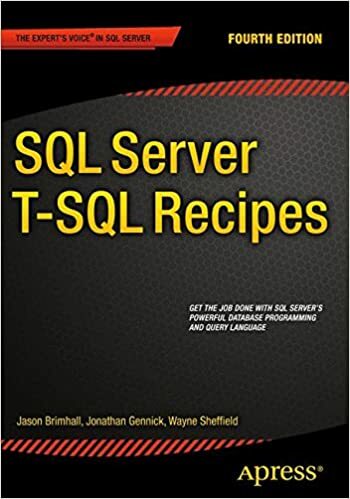 I have been pouring through books and thinking about topics I might want to study more in depth to become that more well rounded DBA. Of course, these studies also have another goal in mind. I am working toward the MCM. So as I study and think of those extra tidbits I want to learn, I also dream of exotic solutions and implementations. 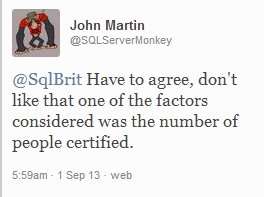 I have been sleeping better and dreaming more about SQL. Which is kind of weird come to think about it. But hey, I will enjoy these SQL dreams and hopefully it will be more than just dreams. I will soon know if I get to move on to the next exam as I will be taking my Knowledge exam tomorrow. My question for you is: Do you Dream of SQL? If you do, what kinds of SQL Dreams do you have? Oh and if you practice this at your desk, do you just tell your boss that you are multi-tasking?